This 25 gram Violet Blue Ghost Pearl powder is a great special effects pigment for adding to clear in custom paint or powder-coating applications. 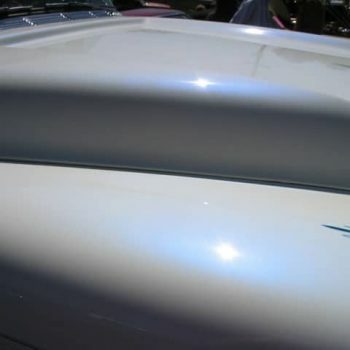 Ghost Pearls are guaranteed to mix well with any clear paint or tinted candy paint, and has a temperature threshold of about 1600 degrees fahrenheit. This is a very fine powder and will spray well through airbrushes, powder guns, and HVLP paint guns. It is very light, so it stays well mixed in paint without settling too fast in your gun, and can make great tinted clears for light to heavy effects (it’s your choice). One 25 gram bag treats from 2 to 4 quarts of clear. HAS MORE OF A BLUE HUE THAN OUR NORMAL VIOLET. Try mixing with straight reducer and spraying! 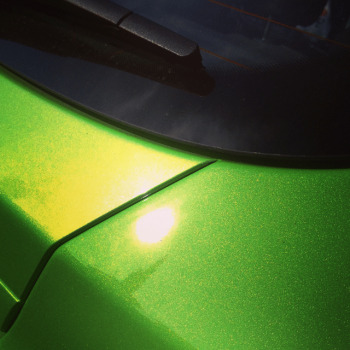 As long as you are applying a clear right afterwards, you can pearlize any car for a lot less! 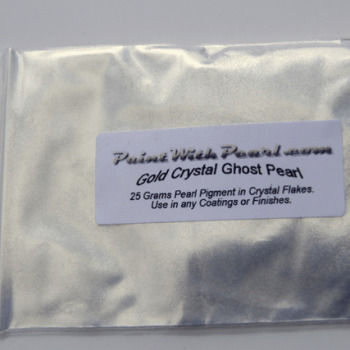 We highly recommend any of our Gold ghost pearls, including the shimmer gold or the satin gold. Also, Blue pearl, red pearl, and violet pearls can make for great effects over the darker shades of red. Not only do all of our candy pearls work great in dip or other coatings, we were the first company to supply the dip community with its pigments. If you have any reservations about whether our products work in dip or other coatings, don’t! You should know that we were the pioneers who introduced Plasti Dip Pearls to the world. 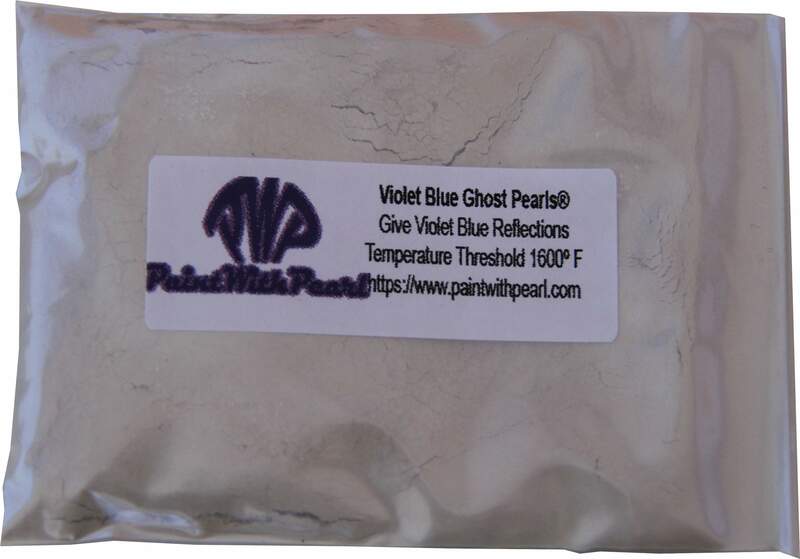 Find Violet Blue Ghost Pearls at Paint With Pearl. 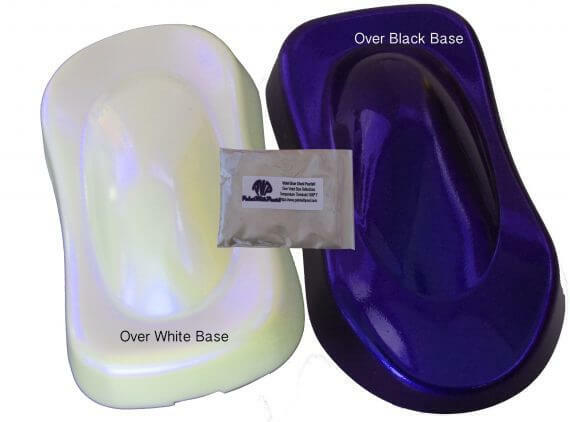 Use to make an iridescent or interference effect in your pearl. Particles reflect pearlescent color.